Apple has accused Samsung of blatantly ripping off the iPhone with its own line of Galaxy S devices, and an internal document from the South Korea giant may help support Cupertino’s latest claims as the two companies duke it out in court again this month. 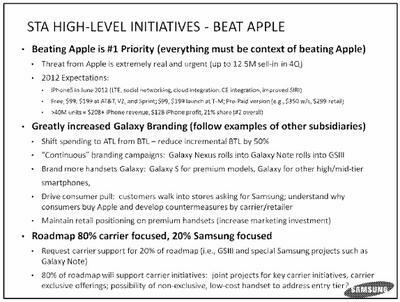 The document leaked online today, reveals Samsung’s sales strategy, putting a clear focus on predicting and outselling Apple’s iPhone. The internal document, which comes from 2012, makes it clear Samsung sees Apple as its main competitor. “Beating Apple is #1 priority,” reads the outline, “everything must be [in the] context of beating Apple.” The document goes on to discuss Apple’s strategy for the iPhone 5, predicting the device would launch in June 2012 with improved software. The “threat from Apple is extremely real and urgent,” Samsung notes. The company goes on to outline plans for promoting its own line of smartphones by focusing all its devices around the “Galaxy” brand. 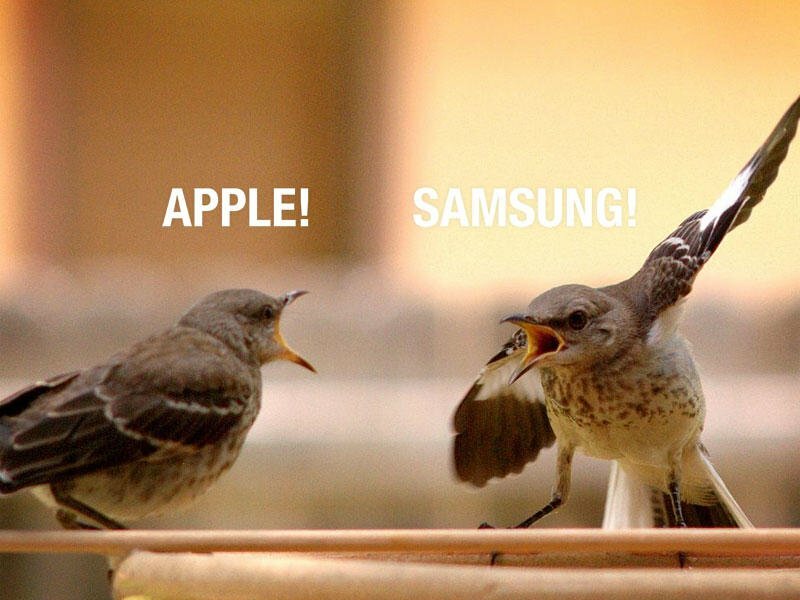 Samsung’s sales strategy included non-stop marketing, carrier partnership, and understanding “why consumers buy Apple” with the goal of developing countermeasures. Samsung’s internal document clearly confirms it was keeping a close eye on Apple, but doesn’t prove the company ever released an iPhone knockoff. It’s possible this single page isn’t the full document Apple’s lawyers plan to submit in court. Still, it’s definitely a good start in proving that Samsung’s smartphone strategy was focused on dethroning Apple by any means necessary.